If there’s one thing I’ve learned during my long journey to living a healthier life is that you have to be willing to try new foods….often more than once (truth be told, there are lots of things I’ve learned, but for the sake of adding a bit of drama to this post, let’s stick with one thing). I can’t tell you how many times (and myriad ways) I tried tofu before I started to actually like it. (no fibbing here….I actually do like tofu). You see, after years of satisfying the cultivated love of salt, sweet and fat, many find ‘healthy’ foods very challenging to eat much less really enjoy. Here is where I feel a lot of lifelong health-nut types get it all wrong when they talk about obesity and the remedy for what ails our generally unhealthy selves….they don’t understand that healthy food just doesn’t taste as good as the junk for people who have largely subsisted on fake food. At least, not at first and not naturally. There’s simply no denying that our human vessels are easily programmed to enjoy calorie-dense foods. Much research proves this out, and if you don’t believe it, just talk to someone who struggles with weight and/or eating healthy. I mean really talk to them and listen to how they view (and most importantly experience) healthy food. 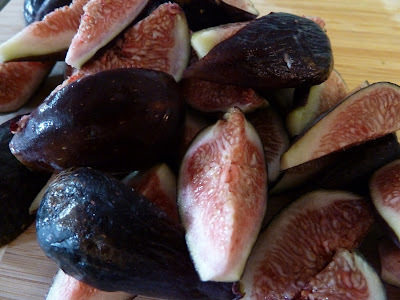 They aren’t just making this stuff up…much if it is so deeply learned and ingrained that it’s hard for them to imagine that something like a beautiful, perfectly ripe fig can be so delicious and sweet and completely satisfying. (Here’s another great and very comprehensive article about the science of junk food and how it hooks us…just in case you’re craving more information (you may find yourself reaching for a cocktail by the end…it’s a bit depressing). Add to this the cost of eating junk versus the cost of cooking and healthy foods and the overall lack of nutrition education and you have, well, the current obesity epidemic. Pardon my little soap box moment here. For those of you who read my blog regularly, you know that I generally don’t spend a lot of time pontificating on the challenges of adopting a healthy eating lifestyle, but occasionally I have a moment of reflection. Apparently figs do this to me. 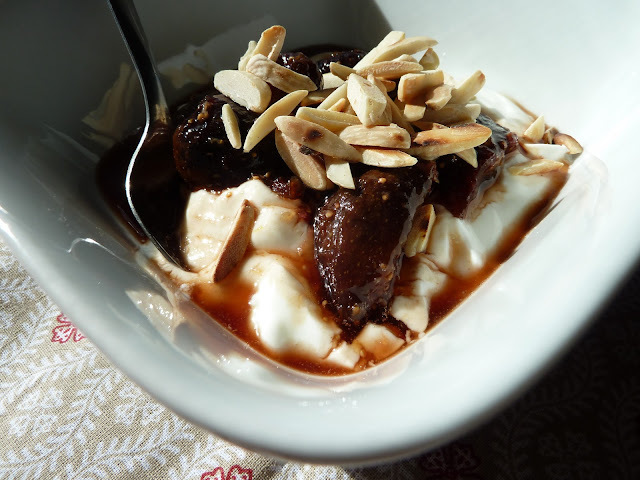 Back to the gorgeous figs. Once they arrived on my kitchen counter, I had already decided how they would be enjoyed…simply. I heated a bit of honey in a skillet, added a few strands of saffron and a touch of vanilla and sauteed them just until they started to break down a bit. The lovely thing about this preparation is that they are equally enjoyable in a sweet (think topping for vanilla frozen yogurt) or savory (with cheese and bread) dish. 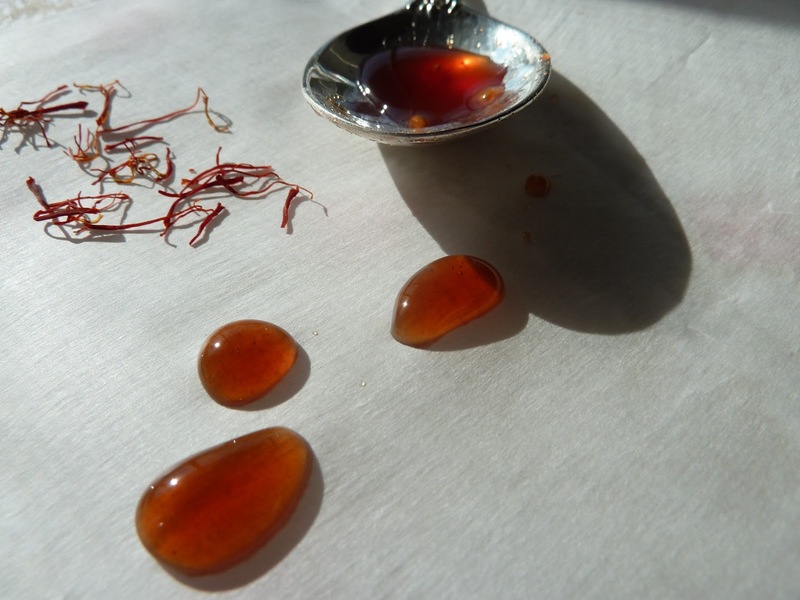 Of course, they area also delightful just as they are and, as a yummy aside, the beautiful syrup would be great in a cocktail (maybe a gin gimlet or a martini of some sort). 3. 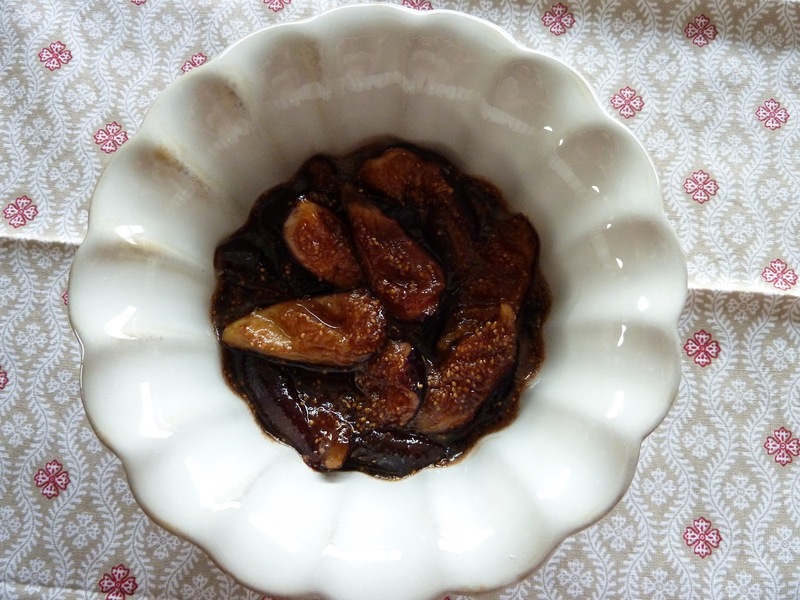 Add the figs, cut side down and cook until they start to soften a bit, about 5 minutes. Turn and cook for an additional 3-4 minutes.